Cream yogurt, sugar & eggs. Add remaining ingredients & mix well on high speed until blended. Let dough set in fridge for about 30 min. When ready to bake preheat oven to 350*F. Butter both sides of non-stick cake pop pan and fill bottom half of pan with batter. (without the holes). Place top on, and lock together. Place in oven and bake for 9 minutes, then turn pan over and bake another 9 minutes. (18 minutes total). Remove from oven and let cool 5 minutes before removing top. If batter comes through holes in the top be sure and remove those little bits before cooling. After 5 minutes remove from pan and lay them out to cool on cooling rack ( It may be necessary to trim the seam side of pops) When cool dip in melted GF almond bark and decorate. Or use the Simi Royal Icing recipe below. 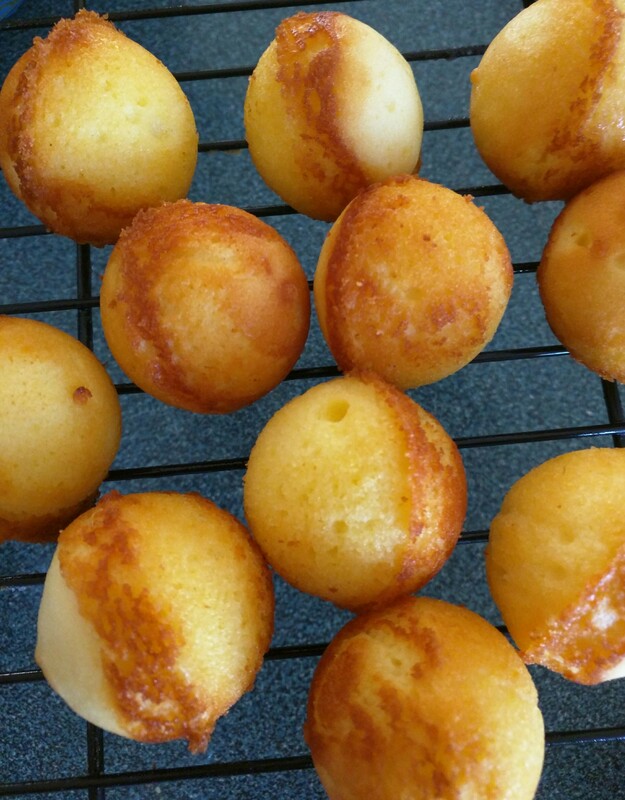 You must cover cake pops with a crumb coating ( thin glaze icing) then let set before covering with royal icing. In food processor add 6 ½ Cups powdered sugar then add remaining ingredients. Blend well until all ingredients are smooth and forming a stiff dough. If dough is too wet then add the other ½ cup of powdered sugar 1 tablespoon at a time until dough is stiff. If dough is too stiff add 1 Tablespoon milk. I would not advise adding water. It makes the icing too sticky. Remove Icing from processor and place on wax or parchment paper covered with powdered sugar roll out icing to about 1/8 inch thick and cut a 3 inch square from icing to wrap around each cake pop. 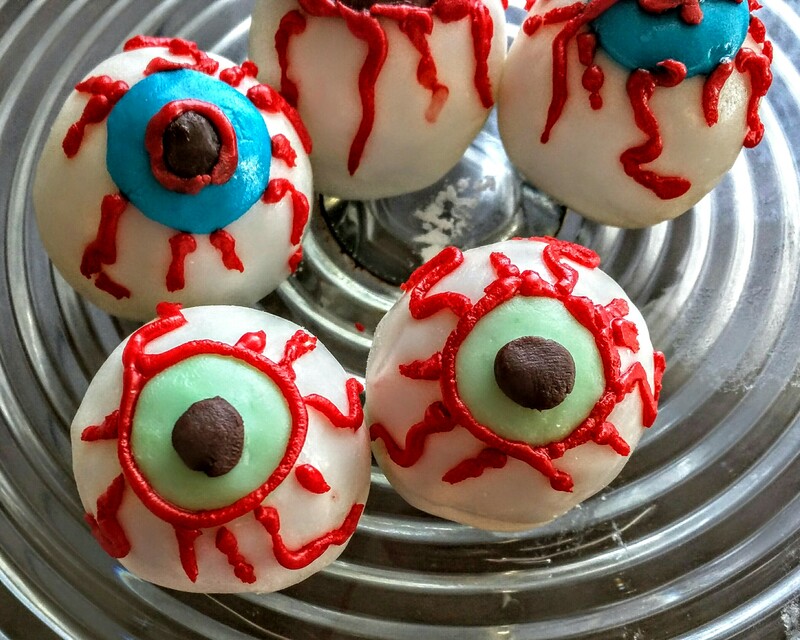 Trim bottom of eyeball and finish decorating with piping any color you prefer.